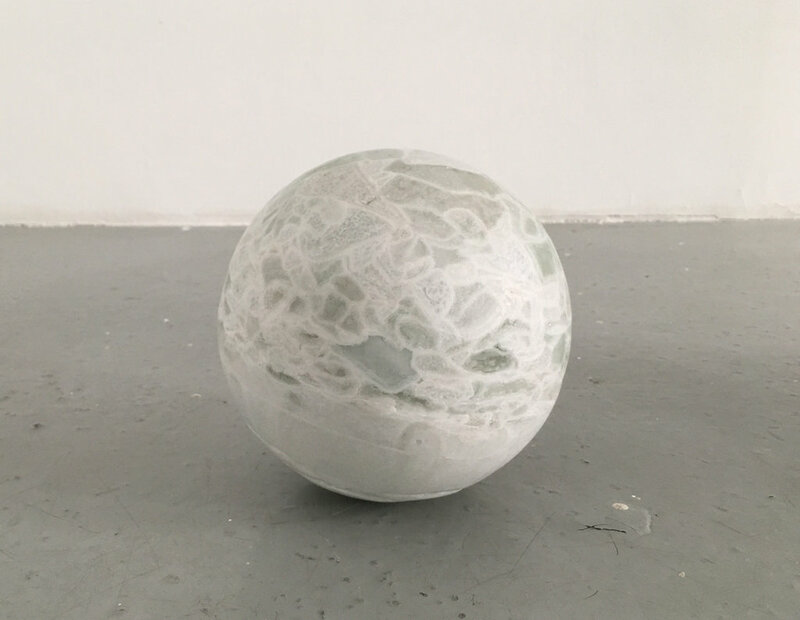 Disparate objects find new meaning in at random, the upcoming exhibition at Open Space artist-run centre by Ontario based artist Hyang Cho. The exhibition, opening on Nov. 9, is made up of collections of modest, mundane objects ranging from hand-copied letters to a collection of stones, jars, and old books discarded by public libraries. Through her work, Cho examines these everyday objects and reworks them in ways that make them both familiar and strange, alike and different, systematic and arbitrary. The library books are glued shut, inaccessible to even the eager reader. The jars are cleaned of any identifying labels and evacuated of contents. The stones are cast in wax, making them oddly alike despite their varying origins. And the letters, sourced from the internet, are written across multiple languages unfamiliar to the artist, so their contents remain hidden to her, but for the shape of the text she has painstakingly copied out by hand. Born and raised in Seoul, Korea, and currently based in Guelph, Ontario, Hyang Cho has exhibited extensively across Ontario and Western Canada. Cho holds a BA in History from Sogang University, a BFA from the Alberta College of Art and Design and an MFA from the University of Guelph. Her art practice engages in repetitive processes that challenge ideas of completeness, efficiency, correctness and rationality by testing them against process, repetition, omission, translation, and error. Cho’s works observe the sense of anxiety, uncertainty, and tension embedded in daily life and perceive the passing of time in the everyday; not time as it appears in memorable moments or as a unit of measurement, but time as it passes, accumulates, and sometimes repeats. Cho is represented by Georgia Scherman Projects.